If you ever have the fortune to find yourself in Cornwall in the winter, do not despair, as to many this is the best time of year of all. 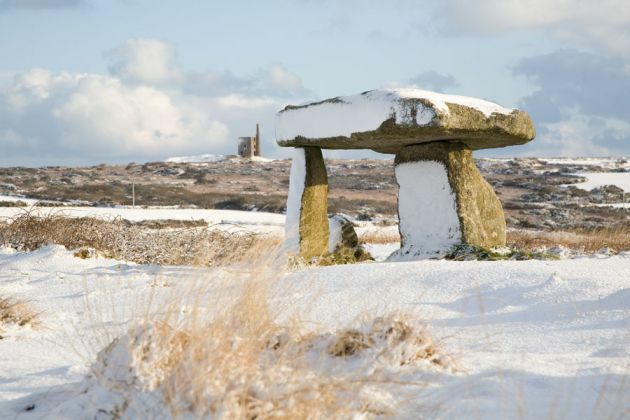 Winter in Cornwall can be both more dramatic and more serene than any other season. It is at this time of year that Cornwall shows its soul to reveal itself as the Cornwall of romantic novels and smugglers tales. It used to be the case that Cornwall shut down for business after the Christmas holidays only to come out of hibernation with the first buds of spring. When I was younger the phrase 'Last one out turn the lights out' was often bandied around as the winter set in. Whilst it is certainly still the case that some businesses do shut up shop for the winter this is now less the case. Plus nature never takes a break and the scenery is just as stunning as ever. The winter weather in Cornwall can be summarised as warm, often wet and sometimes wild. 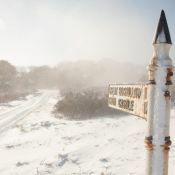 It is very rare for the temperature to drop below freezing and snow is virtually unheard of in the majority of Cornwall. 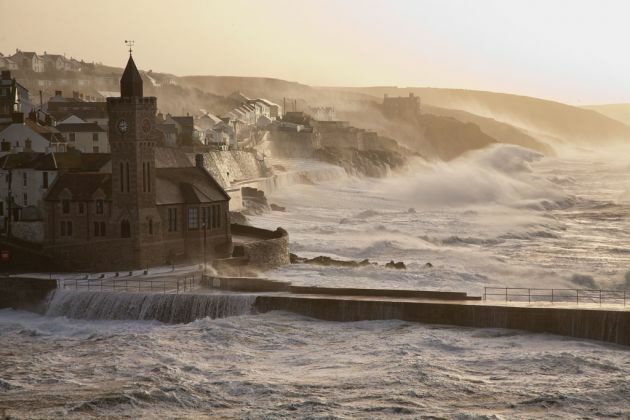 It is at this time of year that the biggest Atlantic swells slam into the beaches and granite cliffs of Cornwall. This is at its most spectacular during a winter storm where winds can blow in excess of 70mph and the waves reach 50 feet. In recent years storm watching has become something of a spectator sport along with accompanying traffic jams. As long as the basic safety precautions are observed then it's hard to beat the drama and spectacle of a big storm in Cornwall. Besides the weather the most obvious difference between winter and summer in Cornwall is the lack of people. You won't be getting stuck in traffic jams, having to queue up buy your pasty or sharing one of Cornwall's beauty spots with a hundred other people all trying to take the same photo without anyone else in it! Imagine towns like St Ives, Padstow or Fowey but without the crowds – welcome to Cornwall in the winter! Whilst they are never quite ghost towns anymore you will be able to enjoy a bit of peace and quiet and imagine what things were like before tourism was the mainstay of Cornwall's economy. 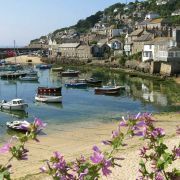 Picture this; a saunter around the winding cobbled streets of St Ives or Polperro with a bracing wind catching you out around every corner. Not everywhere has shut up for the winter so you can pop in and out of the warmth of small shops and galleries. You wander down to the coast where the air is full of chilly sea spray and watch the waves for a while with nothing but the sound of the sea and wind in your ears. Suitably battered by the elements you can now feel more than justified to head back to a snug café or even a pub and enjoy a drink in front of an open fire whilst looking out on to the blues and greys of the Cornish winter. After writing that I'm feeling much happier the weather's taken a turn for the colder! The Christmas / New Years holiday season has long been a draw to both visitors and diaspora alike. Things may have been quietening down since the end of summer but the last two weeks of December see a flurry of activity. There are Christmas fairs a plenty and one or two traditions that have become an established part of the Cornish Christmas calendar. The fishing village of Mousehole is possibly the most 'Christmassy' place in Cornwall. 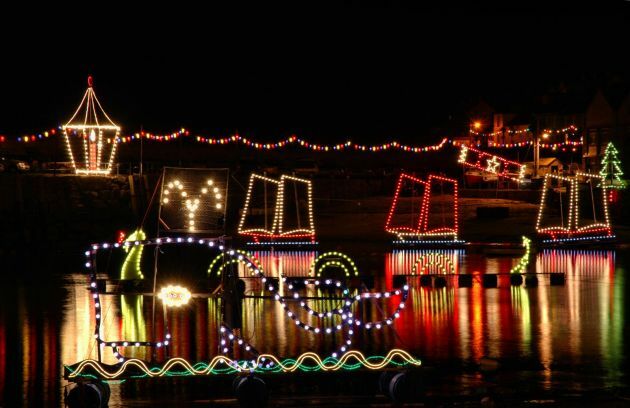 Not only is it home to the now famous Mousehole Harbour Lights but there is Tom Bawcock's Eve on the 23rd December. 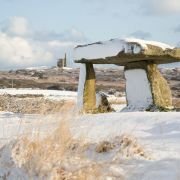 Meanwhile, just down the road in Penzance the winter is welcomed in with the age old pagan festival of Montol. If you are still around after Christmas, Mummer's Day in Padstow is a peculiar little festival involving lots of singing that is held on Boxing Day. 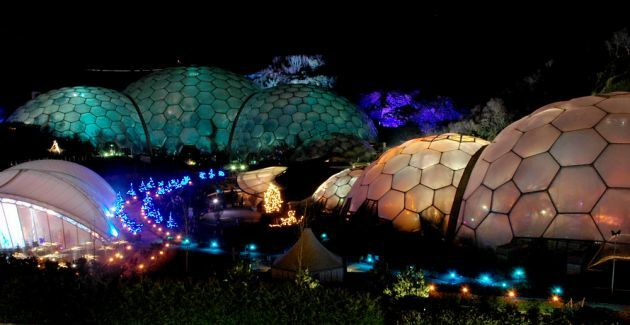 Over recent years Cornwall has become a destination to see the New Year in. In fact the New Years celebrations in St Ives have become so popular that there have been attempts to scale them back. Fancy dress and fireworks are also all the rage in Looe which is the scene of equally popular NYE celebrations. Another great Cornish tradition is the Christmas Day swim. Whilst you are obviously free to do this anywhere on your own, people generally prefer to suffer the head-numbingly cold water in a large group. 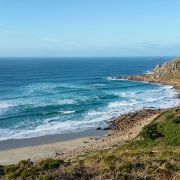 Popular spots to take a Crimbo dip include Polzeath, Gwithian, Watergate Bay, St Agnes and, perhaps the most popular, Sennen Cove. 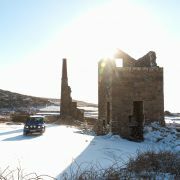 There are other benefits to winter time in Cornwall. With the exception of Christmas and New Year you are pretty much guaranteed a cheap break. And it's not like you would have enjoyed the open fire / wood burner and hot tub in the middle of summer anyway! 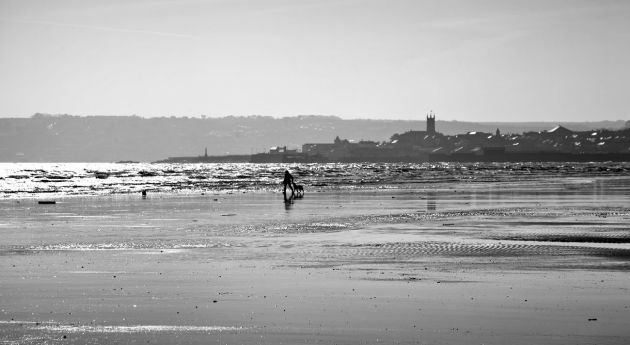 Winter is also great news for dog owners as virtually all of Cornwall's beaches are dog friendly outside of the summer months. 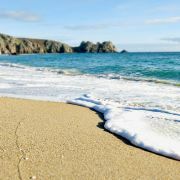 So, as you can see, whilst the Cornish winter may not count as an escape to sunnier climes it still offers a fantastic range of things to do and in our opinion is a very special time of year.